Buffalo Raceway, located in Hamburg at the Erie County Fair Grounds, was founded and opened by James J. Dunnigan in 1942. 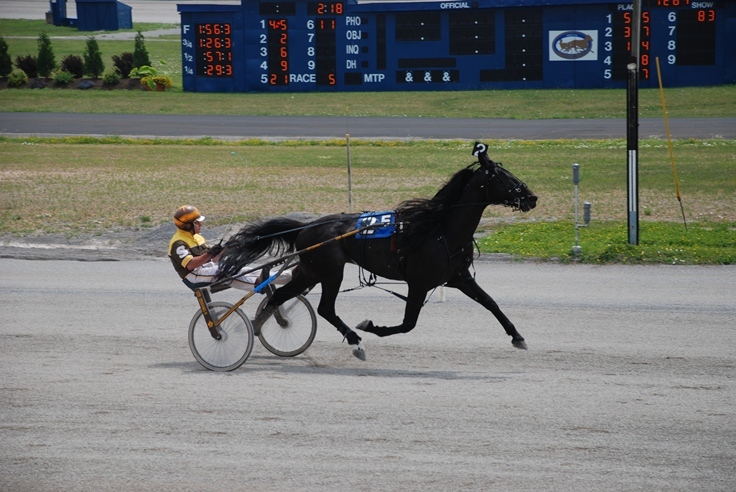 Western New York residents and people from all over came to the track making it a huge success. Attendance and handle soared during the 1950s and 1960s making Buffalo Raceway a top track on the national scene. The track was continually improved as a clubhouse and additional grandstand were added on to the facility. In 1966 one of the greatest harness horses of all time, Brett Hanover, raced and was victorious at Buffalo Raceway drawing the largest attendance in the history of the track, close to 13,000 people. In the late 1960s Buffalo Raceway was sold to Sportservice Corporation. During the early 1970s a new clubhouse was built and the main grandstand was glass enclosed for winter racing. Also in the 1970s came the introduction of Off Track Betting in New York state, which ultimately has led to the decline in on track attendance and wagering at all NY state racetracks. 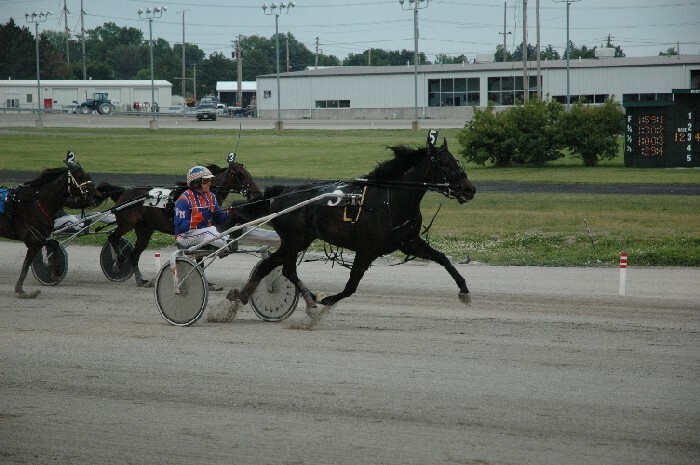 In 1990 Buffalo Raceway was purchased from Sportservice Corporation by the Erie County Agricultural Society. Despite major attendance and handle decline they have worked hard to make the raceway a success. 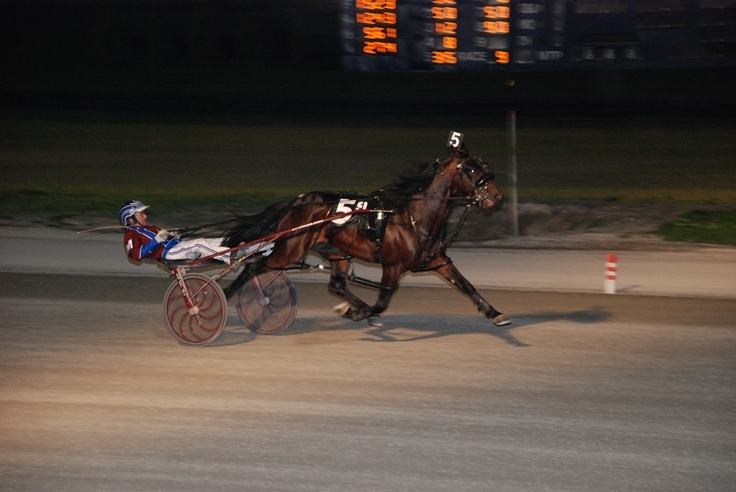 On March 17, 2004 Video Lottery Terminals debuted at Buffalo Raceway under the direction of Delaware North Corporation. The VLT revenue has helped the track's bottom line and also contributed to all time records in overnight purses paid. 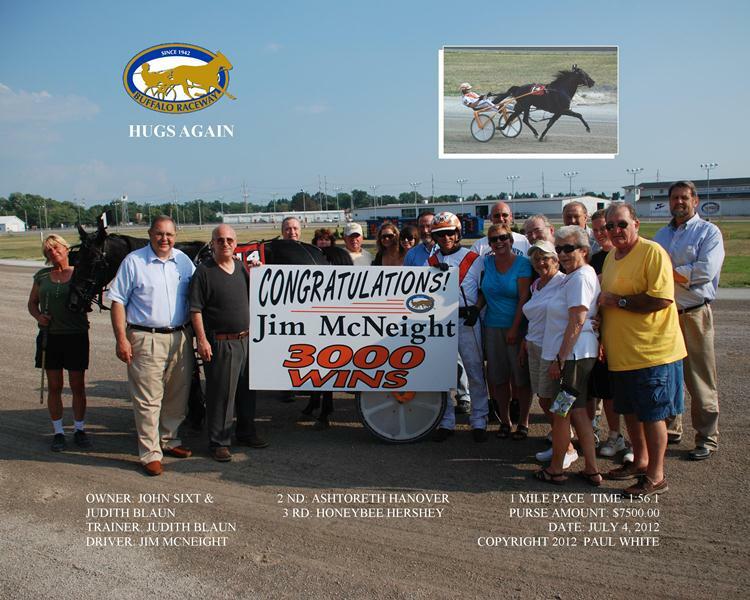 Veteran Western NY driver Jim McNeight gets his 3000th driving win on July 4, 2012. 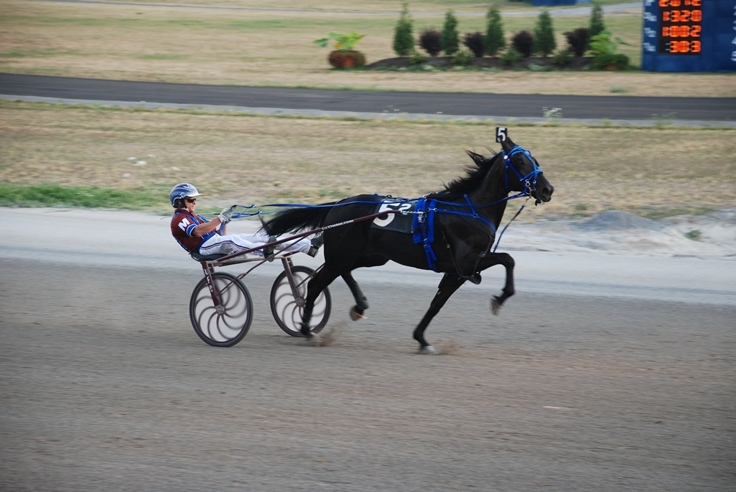 200.2 for 2yo filly trotters on July 24, 2009. 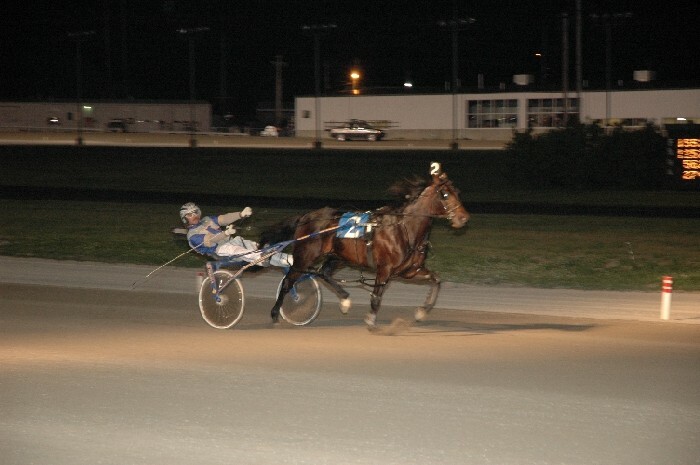 1:59.1 for 3yo filly pacers on June 7, 2009. 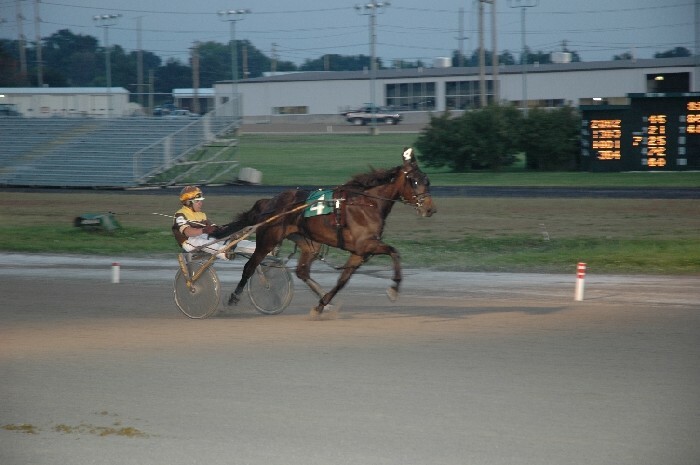 Buffalo Raceway on June 6, 2009. 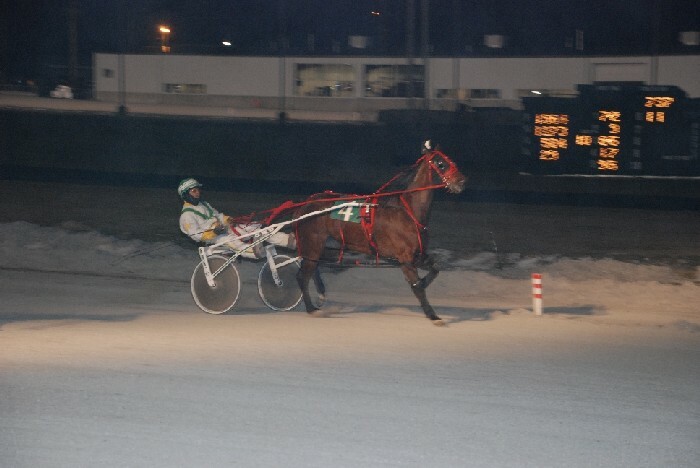 Buffalo Raceway on March 4, 2009.